Located off of Highway 327 in Crestwood, you will find an adorable neighborhood called Magnolia Place. Construction of Magnolia Place neighborhood began in the 2000s. Homes in Magnolia Place range from around $210,000 to $280,000. Many of Magnolia Place homes are brick/veneer, vinyl, or brick/vinyl. Two-story homes with a basement are the most common type of home in this neighborhood. The Hollinden Team updates this search for Magnolia Place houses for sale on a daily basis from the Louisville MLS. We love helping people find their dream home! Make sure to check out the Hollinden Team's reviews to find out more about what our past clients are saying about us. Click the map on the left to view each home for sale in Magnolia Place. There is a satellite view button in upper right. Most of the homes in Magnolia Place have a two car garage on the front and a cute little front porch. The above grade square footage in these Magnolia Place homes is usually between 1,900 to 2,600 square feet. There are usually two to three bathrooms and three to four bedrooms in each of these homes. Most of these homes have a master bedroom on the second floor of the home. The lots in Magnolia Place are usually between 0.15 to 0.30 acres. If you don’t care to tend to much land, you would enjoy the size of the lots in Magnolia Place. For grocery shopping, there is a Kroger and Walmart only a few miles away from Magnolia Place. For other everyday essentials, there are a few basic stores such as Walgreens, Advanced Auto Parts, Hallmark, and Dollar General in Crestwood. La Grange is also very close to Crestwood and has other everyday essential type of stores. For shopping centers and malls, Louisville is going to be your closest option. The Paddock Shops is probably the closest shopping center option. The Paddock Shops are around 8 or 9 miles from Magnolia Place. Other shopping centers and malls in Louisville are Westport Village, Oxmoor Mall, Mall Saint Matthews, Springhurst Shopping Center, and Middletown Commons. These shopping centers are a little bit further out than The Paddock Shops with the exception of Springhurst Shopping Center. Springhurst is only about two or three miles away from The Paddock Shops. 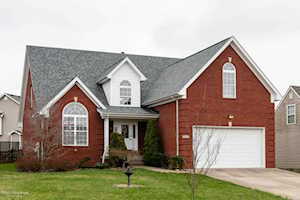 Magnolia Place is in the Oldham County School District. The following schools are the home schools for Magnolia Place: Kenwood Station Elementary, South Oldham Middle School, and South Oldham High School. Oldham County is very known for its outstanding school district. In fact, Oldham County Public Schools were named the District of Distinction in 2012. Oldham County Public Schools are also three-time designee of the Advanced Placement Honor Roll. If you would like to learn more or have any questions about any of these Magnolia Place houses for sale, or others in the zip code 40014, just click the "Request More Information" button on any property detail page. The Hollinden Team can provide you with past sale information, comparables, disclosures, PVA assessment, and tax information – we would love to answer any real estate questions you have.